As of January 2019 WhatsApp is one of the most popular messaging apps worldwide with its 1.5 billion active monthly users. As the messaging apps start adding social media like features it become more important for the app users to protect their privacy. WhatsApp users have long requested for a feature to control who can add them in a Group. Similar feature is already available in Telegram since they rolled out version 1.2 (build 10.12.17). Digital Trends reports that WhatsApp has added a privacy feature that allows users to control who can add that user to a WhatsApp group. According to GSM Arena the ‘Privacy’ section of WhatsApp will have a new ‘Groups’ option with 3 radio buttons letting the WhatsApp user to choose from. 3 radio buttons would let user decide whether to allow everyone or the user’s contacts or nobody to add the user in the group. It is expected that the new Android and iOS updates of WhatsApp messenger after 06 April 2019 will have these features. The author of this blog received a list of 200 achievements by BJP (NDA) government under the leadership of 14th Prime Minister of India Shri Narendra Modi. The list represent more accomplishments in 5 years than what was achieved by previous leaders in 65 years from independence. Indian citizens who plan to vote for Congress (UPA) or who are undecided which party to vote in upcoming 2019 Indian general elections must evaluate this list before casting their vote. The numbers in the list are presented in international format instead of Indian format. 1. Fragile five to fastest growing economy – India. 2. 11th largest to 5th largest economy – India. 3. Share of world GDP from 2.43% in 2014 to 3.08% in 2018. 4. Average GDP 7.3% against 6.7% in previous regime. 5. Forex reserves from 300 Billion USD in 2014 to 420 billion USD in 2018. 6. Doubling of FDI inflow from 36 billion USD in 2014 to 66 billion USD in 2018. 7. Inflation less than 2.3 % (Nov 18) against 10.1% in 2014. 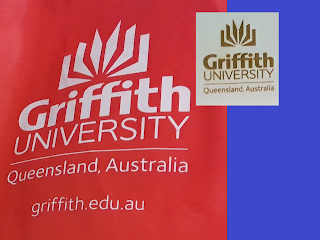 The author of this blog was invited to address Indian students commencing higher education at Griffith University, Queensland, Australia. The speech was part of a pre-departure session hosted by Griffith University at Courtyard by Marriott, Ahmedabad, Gujarat on 30/Jan/2019. The speech covered wide range of subjects but one topic that needs to be briefly summarised here is the difference between Indian and Australian (western) education system. Indian education system clearly sets out the knowledge that students need to learn and assesses whether student has acquired that knowledge or not. Western education system at times sets student on discovery of knowledge through research in addition to traditional education system where student acquires knowledge from textbooks and classrooms. The author also wants to thank Griffith University for felicitating the beautiful memento pictured below. Recomendation To Belacam.com To Allow Embedding Content On Other Webpages. Blog Post No– 002 in ‘Missing Features’ SeriesAt the time of writing this post sifting through the support content on Belacam.com did not show information to embed the user posts from Belacam to other websites and webpages. When a main stream media (MSM) outlet embeds a social media post in the digital edition of an article or a news story then the chances of the post becoming viral increases. An embedded post going viral also increases chances of more internet traffic to; 1) social media website where the embedded post is published, 2) the user's social media page who posted the content, and 3) the social media post. If Belacam considers more internet traffic generated towards their website as a positive success indicator (like other social media websites) then they should allow the easy embedding of their users' posts on other websites. 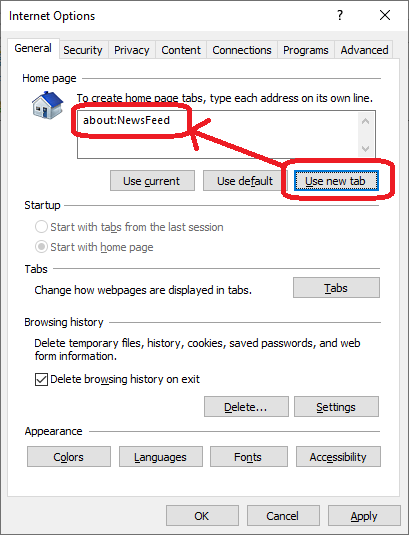 Work around to set about:blank (instead of about:NewsFeeds) as a default homepage in Microsoft Internet Explorer 11 and future versions. It appears Microsoft Internet Explorer 11 users do not have an option to set ‘about:blank’ as their default homepage location, instead the new option is ‘about:NewsFeeds’ as can be seen in below screenshot. Only problem with about:NewsFeeds homepage default is it downloads the multimedia content which slows the starting of the Internet Explorer and loading its homepage. A user who does not want to access the multimedia content can make the browser more efficient by manually changing the homepage to about:blank as per below screenshot. 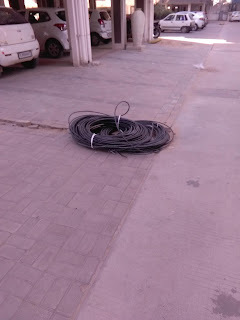 JioGigaFibre Cometh. IoT and Smarthome Implications Of Ultra High Speed Internet For Indian Households. In New Gandhinagar (Gandhinagar, Gujarat) a residential building was receiving JioGigaFibre installation on 23/12/2018. Further enquiries reveal all buildings in Sargasan and Kudasan area of New Gandhinagar are receiving JioGigaFibre installations. Arrival of JioGigaFibre marks a watershed moment for Indian households and small businesses. It heralds dawn of IoT and smart home product and services for Indian consumers. Internet of Things (IoT) involves connecting any electronic or mechanical device (or object) to internet that traditionally does not connect to internet. Philosophically IoT aims to allow objects and devices to process and communicate information, data and knowledge in order to improve its usefulness for the user. A smart home system aims to automate the control household devices such as lighting, heating, cooling, climate, microphones, speakers and appliances. Majority of Smartphone users are not software engineering or application development experts, or a technology expert for that matter. Application users trust their application distributor (application store or equivalent) and application owner to be honest while transacting with them. Craig Silverman at BuzzFeed News reported a research under taken by Kochava on 26 Nov 2018 alleging that a number of popular Android applications (developed by Cheetah Mobile and Kika Tech) have been committing advertisement fraud. The article explains ‘click injection’ and ‘click flooding’ concepts in very simple terminology along with the help of easy to understand diagrams. The challenge of inserting malicious code in an application or a software by an unscrupulous technology company may be mitigated by; making the audit of source code compulsory by an independent code audit professional, andplacing necessary controls in place that only the audited code goes in to the production.